Ah, the dog food wars. Dog food is big business!According to the Pet Food Institute, here in the US we spent 11.3 BILLION dollars on dog food in 2013, and another 2.6 billion dollars on dog treats. Cat food is also big business; Americans spent 6.4 billion dollars on cat food and another half-billion on cat treats. So, needless to say, with all that money at stake, there are plenty of new players wanting to get in the game, and the competition can be cut-throat. Take, for instance, the current battle between Blue Buffalo and …… well, everybody. Have you seen the Blue ads? According to Bloomberg Businessweek, Blue’s sales last year were $1 billion. They’re growing fast, thanks to their ad campaign. Well, seems some other dog food manufacturers are NOT happy! Purina is suing Blue for false advertising. Hills filed a complaint with the National Advertising Division, and NAD ruled against Blue. And Hills Nutrition has been mounting a media campaign through bloggers to get the word out about Blue’s misleading practices. Just this week I received a “starter kit,” complete with sample blog post and links to other news stories about how Hills is committed to truth in advertising. Personally I find it ironic that an advertising industry that’s committed to brainwashing us into buying things is so concerned about “truth” in advertising. But that’s a conversation for another day. So, what are your thoughts about all this? Do you think Blue should apologize for lying to us? Or do you think Purina and Hills are upset because someone is beating them at their own game? Weigh in below and tell us what you think. « Natural Balance Grain-Free Dental Chews Giveaway! Pay no attention to ads. Learn how to read labels and then do so and make your own decision. I buy Merrick dog and cat food. I buy their kibble and wet food and mix them together. If I don’t make the treats, I buy Pawtriotic brand. I probably spend more time reading the labels on dog and cat food than I do reading the labels on our food. Giggle. DeDe suffered from health problems too, some of which were traced to food allergies. When we got her on a grain and poultry free diet, her health improved. We have had lots of problems finding food for our dogs and cats. It’s been particularly hard to find food for our dog that won’t trigger allergic reactions. It seems there is very little quality food available commercially. Well, I’m far from an expert, but I’ll tell you this much. Tippy lived 15 good years on Pedigree. It cost less than 1/2 of what those fancy designer dog foods cost, and she loved it. Jack has lived almost 7 years now, on the same stuff. Now I will add, that I myself am a Food Christian who brings some chemistry knowledge to the table, and I do all my own cooking. Both Jack and Tippy benefited from that knowledge. Jack eats more sour cream, organic bacon, flax milk, sugar-free cheesecake and gluten free pancakes than any dog on earth. But his primary diet consists of Pedigree. Now, for what it’s worth, a few years back, there was a recall on all the dog food brands, because they were made in China, and the Chinese were using some kind of toxic plastic in the dog food. Maybe you remember. People were actually loosing their fur-friends to death from Chinese plastic. Iams, Hills – all the Cadillac Brands – were recalled. Pedigree was the only one that wasn’t affected by the recall. So, let’s see. Cheaper; made in that failing 3rd World state called America; dogs love it. If I were the lowest form of Human life – an advertising exec – I’d say Pedigree has a winning formula. I’d say you make a good argument! Rumpy ate Pedigree for awhile until he refused it. My food struggles with him have been all about what he will and won’t eat. He could care less about quality. Coincidentally, Tippy was the same way, when we first got her. I went to a pet store, and bought samples of about a dozen different foods, and hand fed her each, taking note of which ones she’d eat, and which ones she seemed to actually enjoy. Again, Pedigree was the one. So it was more by her choice, than mine. Midnight has allerigies and they were bad when she first came to live with me. My income would not allow me to buy those more expensive brands. I tried Diamond Naturals Chicken and Rice and now I do not have a 1/2 bald dog. It doesn’t have any wheat, corn, or soy in it. The first ingredient is chicken .There is no by product. It also has flax seeds in it. It is more than grocery store dog food but less than those designer brands. Most all vitamins and antibiotics are not made in the USA but in China. 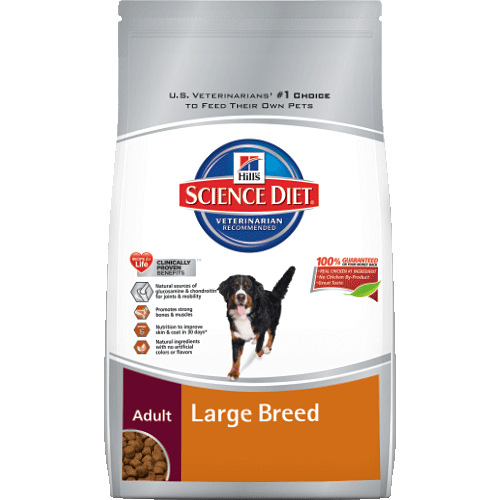 Most of but not all Dog foods purchase the vitamins from China.There is only 1 company in USA that makes vitamins and antibiotics and a couple dog foods purchase from them. table food too but limit it to only good quality pieces of our meat (not just the fat trimmings) cantaloupe, spinach stems (they love spinach stems but will not eat green beans), watermelon, eggs, etc. We use smelly ham or cheese for training treats. It is a never ending quest to do the right thing and so many differing opinions out there. In terms of the kibble we use Taste of the Wild. We always put the entire bag into the plastic airtight container so if there is a recall we can check the label to see if our food was recalled this time. Purina and Hills are both popular in Japan, too but we don’t have Blue…..we don’t have so many alternative for animal foods compared to US….. While I agree that there is a lot out there and it can be confusing, my tips are, do what works for you, your pet, and your budget. Provided you just don’t take things at face value. All this nonsensical dog food advertising wars is ridiculous, but if one good thing came out of it, it was making owners more conscious of how they care for their pets. Cats are carnivores and as such they shouldn’t have grain, rice, corn, vegetables, etc. It’s tough to find something that doesn’t have any of those. I’m using New Balance right now but I try to give them mostly wet food rather than dry kibble. However, they are cats and they eat what they like. Good thing they can’t open their own cans. Our Yorkie had been on Hill’s RD diet for years when we got her because of “food allergies”. Her stools were dark and she seemed constipated. We started introducing new food items one at a time and ended up with Fromm’s Chicken A La Veg. It has been great for her and we can get it pretty cheap from Chewy. Hill’s should know misleading advertising when they see it. They’ve been practicing it for years. I go by the ingredients list — and how the dogs seem to respond to it. I pay zero attention to advertising. So far, so good. Where the mighty dollar reigns it’s fair game to gain it. Such is the philosophy of big business today. Won’t be any apologies from them from them unless it hits a big law suit or threatens to ruin the bottom line and then that wouldn’t be an apology but just another marketing strategy. Meanwhile, we have to do our best to ferret out good choices for our fur babies and other products while the chicanery continues. After reading this, I did a little searching on the lawsuit. 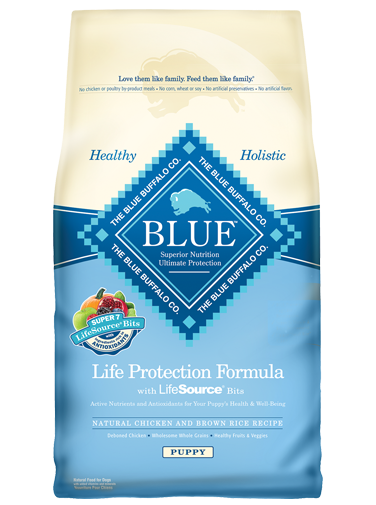 While the claim is for a significant percentage of by-products and a few supposed rice husks in one of Blue’s many products, there really isn’t enough details in either their accusation or in Blue Buffalo’s reply to determine if there really is false advertising going on here. 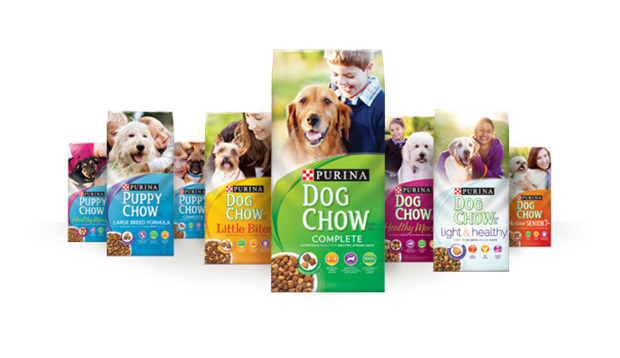 Sounds like Purina is just upset that another dog food company is taking away their sales.